Mit4G LTE cat4. Handliches Design, perfekt fürunterwegs. Kompatibel mitallen WLAN fähigen Geräten. Enthalten ist. Osprey could support up to 10 wireless devices to access internet. EE Osprey could continue work up to 6 hours. Only opened box for Unlocked. LTE FDD Band 800/900/1800/2100/2600MHz. WiFi 802.11 a/b/g/n. The beauty of modern Mi-Fi devices is the independence they bring from fixed location Wi-Fi access points. Never have to suffer poor performing pub or cafe Wi-Fi where too many users slow things to a crawl. With the original box and all the accessaries. 4G LTE FDD Bands: 800/900/1800/2600 MHz. It's small enough to fit in your pocket, so your Wi-Fi can go wherever you go. 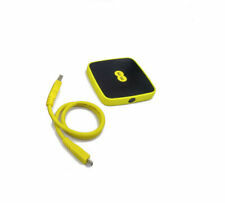 Originally sold on the EE network, now unlocked and tested on Three, O2 and Vodafone networks. The device performs flawlessly, providing seriously fast Wi-Fi from a 4G network connection. The unlocked device will now work with a Micro SIM (NOT full size or Nano) from any network. Unlocked, free to use with any sim card. REALLY FAST. CONNECTS TO THE FASTES AVAILABLE NETWOTRK (LTE/HSPA/3G). 20 ENABLED DEVICES TO SHARE THE CONNETION. Unlocked, free to use with any sim card. 4G LTE SPEED. CONNECTS TO THE FASTES AVAILABLE NETWOTRK (LTE/HSPA/3G). 10 ENABLED DEVICES TO SHARE THE CONNETION. Unlocked, free to use with any sim card. 4G LTE SPEED. 4G LTE FDD: 800/900/1800/2100/2600 MHz. UMTS/WCDMA 900/1800/2100MHz. SPECIAL FEATURES Technical Specifications STANDARD SIM SIZE. SLOT FOR MICRO SD STORAGE CARD UP TO 32GB. 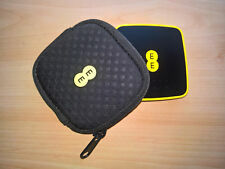 Originally working on EE UK but now fully unlocked tested with 3UK, Vodafone, O2, Orange. UNLOCKED TO ANY NETWORK WORLDWIDE. 4G Bands: 800/900/1800/2600 MHz. 2G bands: 850/900/1800/1900 MHz. Unlocked and free to use with any sim card. 4G BAND: LTE 800 / 900/ 1800 / 2100/ 2600 MHz. LONG BATTERY HOURS. MICRO SIM SIZ E. 4G/3G technology. UP to 15 DEVICES TO SHARE THE CONNETION. CONNECTS TO THE FASTES NETWORK. Unlocked, free to use with any sim card. 4G LTE SPEED. 4G LTE FDD: 800/900/1800/2100/2600 MHz. UMTS/WCDMA 900/2100MHz. SPECIAL FEATURES Technical Specifications MICRO SIM SIZE. SLOT FOR MICRO SD STORAGE CARD UP TO 32GB. Unlocked, free to use with any sim card. 4G LTE SPEED. 4G LTE FDD: 800/900/1800/2100/2600 MHz. Technical Specifications STANDARD SIM SIZE. 3000 mAh. With POWERBANK. POWERBANK FUNCTION. Unlocked, free to use with any sim card. 4G LTE SPEED. 4G LTE FDD: 800/900/1800/2100/2600 MHz. MICRO SIM SIZE. The unit is locked to EE UK. Wifi Hotspot Modem (EE40) Unlocked. Factory unlocked (You can use with any Network). Create a personal, secure Wi-Fi hotspot. It's like your own travelling bubble of internet. Used - Tested and Fully Working. Unit has been network unlocked. We make buying online as simple as it can be. Alcetal mobile internet hub . Condition is Used. Dispatched with Royal Mail 1st Class. 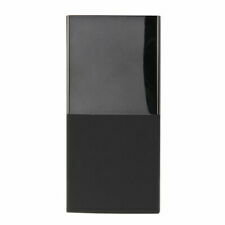 You will receive the unlocked modem in its original box with all the user guides and the wireless password so that you can connect your device and access the internet. I have removed the original network restriction that EE had assigned to this modem. Connect Up To 10 Devices - Use 4G out and about with your mates for up to 6 hours. You can connect up to 10 devices for sharing, gaming and movie streaming - and experience superfast connectivity with 4GEE.